Northern Illinois defensive lineman Mike Krause has been named a semifinalist for the 2010 William V. Campbell Trophy by the National Football Foundation and College Hall of Fame, and is also a candidate for one of 15 NFF National Scholar-Athlete Awards. Krause, a senior from Germantown, Wis., is one of only 47 semifinalists nominated from the Football Bowl Subdivision for the awards, which honor a player’s academic and athletic accomplishment. He is one of just three semifinalists from a Mid-American Conference team. Schools from all levels of college football are permitted to nominate one qualifying senior student-athlete each year and the player must have a grade point average of at least 3.2, have outstanding football ability as a first-team player or significant contributor and have demonstrated strong leadership and citizenship. 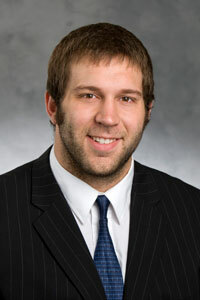 After sitting out the 2009 season due to a medical condition, Krause returned to his starting role in the middle of the Huskie defensive line in 2010. He has made seven tackles on the season and was named Northern Illinois defensive lineman of the week for his play versus Minnesota last Saturday. Krause has 40 career tackles. In the classroom, he earned his bachelor’s degree in business management from Northern Illinois in May 2010 with a grade point average of 3.427 and is currently taking graduate courses in business marketing. Krause plans to use his NIU degree to return to Wisconsin and utilize his education in the dairy industry. Over the summer, he was a familiar face in the Northern Illinois Athletic Department Offices as he completed an internship in the Athletic Business Office. He has been an active participant in many of the Huskies’ community service activities during his time in DeKalb. Krause is following in the footsteps of former NIU defensive lineman Brandon Bice, who was a semifinalist for the Campbell Trophy a year ago. Other recent Huskie semifinalists include offensive lineman Jon Brost (2008) and current Dallas Cowboys starting left tackle Doug Free (2006). Two Northern Illinois players have been honored with NFF Scholar-Athlete Awards and earned the scholarship: quarterback Josh Haldi (2004) and safety Patrick Stephen (1998). Finalists for the NFF National Scholar-Athlete Awards will be announced Thursday, Oct. 28, and will receive an $18,000 post-graduate scholarship, while the Campbell Trophy winner earns a $25,000 scholarship and a 25-pound bronze trophy. After claiming its second win over a Big Ten Conference team in as many years last week at Minnesota, Northern Illinois (2-2, 0-0) opens MAC play Saturday at Akron. Kickoff is at 5 p.m. (Central Time) from Akron’s InfoCision Stadium.